You can find her most recent work (paintings and jewelry) in her online portfolio, atraxura.ga. You can also immerse yourself in her philosophical writings on atrafabula.wordpress.com. I paint, write, photograph, and make jewelry – and that statement is dreadful, sterile and disgustingly logical. It does not equate to even a percentage of a percentage of truth. I make weapons against the illusions generated by a rigid and ideologically restrictive society, especially the notion that the social and material aspects of existence constitute “reality,” and that we “have to” live a certain way, that “all” people are alike in things which we obviously are not. The life is in the blood, and blood is beautiful. Many people are fascinated by life and by living, growing things, but I have a more intense fascination and deeper reverence for the other half of the cycle, that of decomposition, which creates the necessary conditions for life. The mushroom, which I portrayed as a creator deity archetype, symbolizes those Plutonian energies of death, of profound transformation and resurrection. It breathes out the blood of life into the vast nothingness. As an asexual with a high libido, I experience lust as a deep, intense, all-consuming spiritual hunger, not remotely related to the fondling of genitalia. I experience desires connected to the libido, and orgasms, but they are not from or related to (physical) “sexual activity,” which bores, disgusts and alienates me. Power of all degrees and varieties arouses me. I am also intensely and obsessively romantic, and I have the urge to dissect and devour others on the subtle level (though not necessarily in a harmful way). I represent some aspects of these appetites here. Everyone has the potential … for evil. The apple is symbolic of knowledge, of education, of the intellect … and of evil, delicious evil. I love apples. The statement is from an online “dark triad personality test” which measures Machiavellianism, narcissism, and psychopathy. I am proud to say that I scored very highly on all of these traits, as I find them inherently beneficial. I do not take the psychology industry seriously, and I resent its influence on collective opinion. Therefore, I wish to counter it and remove the stigma of having a “dark” or individualistic personality. Strength is a virtue, but along with stupidity, it is also a characteristic we value in beasts of burden — the better we can use them. Thus, “be strong” is often ironically a euphemism for “shut up and do as you are told”. Untamable by orthodox methods, a unicorn (re’em, auroch) is not simply a horse with a horn. It is an evasive cloven-hooved beast, an ancient spirit of fire rising above the dead conventions of contemporary society. 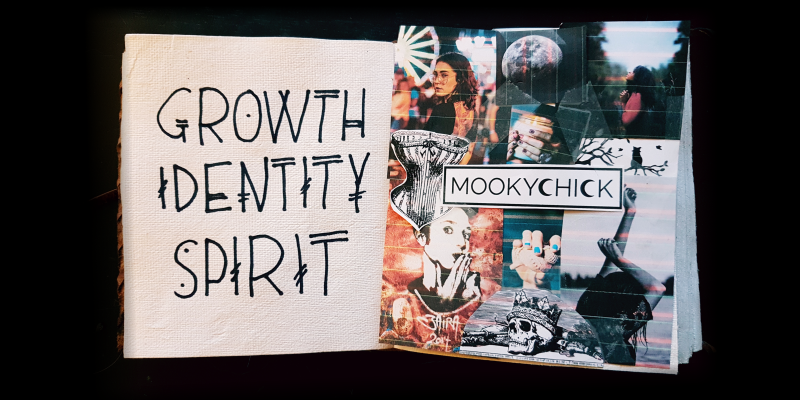 I see it as a personal totem and a source of inspiration. What do you aim to capture/reveal/explore in your art? Has this shifted over time? It has always been my obsession, to portray the non-physical aspects of existence in my work, for instance, the affinity between the dead and the dreaming. I often explore different styles, symbolism and media. I also seek to reveal (and defend) the value of qualities (i.e., sensitivity, introspection, individualism) which our contemporary social order often maligns. Some say creating art can be solitary. What do you say? It can be as solitary as you want it to be. I disagree with the idea that art is about “expressing oneself to others”. That’s only one (simple and rather vapid) use. I find that the objective of art is to give a physical form (or in the case of music, a perceivable manifestation) to the aphysical. It serves as an anchor, or a door, into a thought, an idea, a feeling, another state of existence, or anything else of an non-physical nature. Art can also represent a physical object, place, or being; it can be created to evoke the thoughts and feelings related to the subject. If you desire, it can be shared with others and serve as a bridge for communicating that which is not easily communicated in a verbal or linear way. Creativity vs cost of living – your thoughts? Creativity, without hesitation, and a life as un-industrial as possible. This isn’t exclusively about creativity. It is about living meaningfully and with dignity. Creativity is a means to this end, and I want to inspire others to rise above the “conventional” nine-to-five lifestyle as well, whether that is by entrepreneurship, artrepreneurship, by living off the grid or by any other method; the more of us who do so, the easier it becomes. What are your opinions on art’s place in society? Society disgusts me, and I want no part of it. Art attempts to educate the public on the subtle aspects of reality, and to defend higher values from society’s noxious influence; whereas society denounces art (along with most other serious intellectual and spiritual aspirations) as inconsequential. I believe artists (and all individuals) should take themselves much more seriously and see more value in what they do, regardless of what society exhorts or condemns. Best piece of advice you’ve been given (or given yourself)? Never trust anyone who doesn’t believe in unicorns. Avoid unimaginative, rigid and insensitive people. They are toxic to the mind and spirit. Find those with whom you can freely be yourself. Any upcoming projects you’re working on now? I can’t talk about works in progress, as it drains away the will and desire to do it. Where can people find out more about your art online? My most recent work (paintings and jewelry) is in my portfolio, atraxura.ga. You can find my philosophical writings on my blog, atrafabula.wordpress.com. You can also follow me on Twitter @atraxura8. 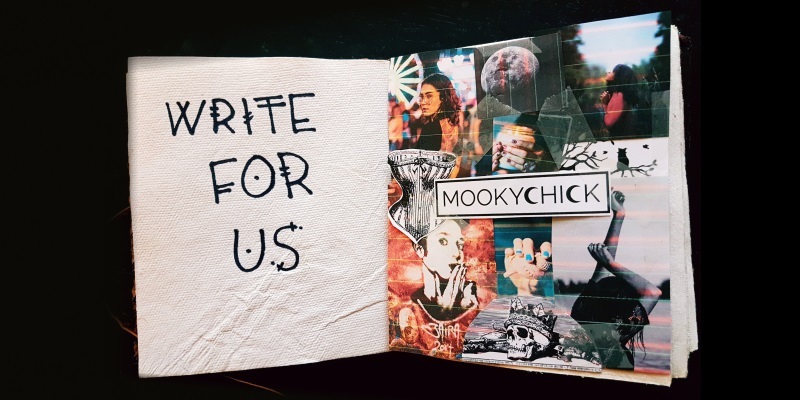 If you would like to be featured on Mookychick, please visit our #ARThags artist submissions page. You will be able to interview yourself (so we don’t put words in your mouth), depict your artwork and invite our community to find out more about your creative works.